The University of Notre Dame’s Science of Generosity Initiative has awarded $1.4 million to four research projects that will study the origins, manifestations and consequences of generosity. The winning projects were chosen from among 325 proposals by scholars in 32 countries and numerous disciplines. “These four projects rose through a highly competitive evaluation process to the top of the list. They were the most scientifically rigorous research endeavors headed by top scholars, the findings of which hold the most promise for advancing our scientific understanding of generosity,” said Christian Smith, Notre Dame professor of sociology and director of the generosity initiative. Current studies of generosity come from many different and often disconnected disciplines and focus on various terms, such as philanthropy, volunteerism and altruism. Established in 2009 with a $5 million grant from the John Templeton Foundation, Notre Dame’s Science of Generosity Initiative brings together the often disconnected and diverse approaches to generosity studies in order to study generosity in all its forms. Two of the projects will examine how generosity originates and spreads within social settings. James Andreoni, a behavioral economist at the University of California San Diego, was awarded $250,000 to study the relationship between charitable donors and recipients, with a focus on how empathy affects charitable donation. His project challenges economic approaches that tend to see generosity as a function of individual self-interest; he hypothesizes, instead, that generosity emerges from within social situations and must be understood as inherently social. Andreoni has done extensive work on the economics of charitable and philanthropic giving, and is well known for his research on the “warm-glow” effect that accompanies charitable giving. Harvard University sociologist and physician Nicholas Christakis was awarded $396,447 to explore how generosity spreads beyond the donor/recipient relationship and creates what he calls “cascades” of generosity within social networks. Among TIME Magazine’s “100 most influential people in the world” in 2009, Christakis builds on the work of network scientists, social scientists and biologists who have begun to understand generosity as fundamental to the formation and operation of social networks. Christakis recently co-authored Connected: The Surprising Power of Our Social Networks and How They Shape Our Lives (Little, Brown, and Company 2009). The other two projects focus on the causes of generosity within families and religions. Hebrew University psychologist Ariel Knafo was awarded $456,906 to study “The Family Cycle of Kindness and Generosity,” which aims to understand what combination of nature and nurture—genetic and familial processes—leads to a generous disposition in children. 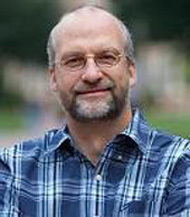 In December 2007 Knafo’s preliminary work on the genetics of generosity was featured in a BBC Health report; in April 2009 his most recent work on generosity was featured on World-Science.net. By looking at how Catholicism and Islam affect the generosity of their adherents, Warner hopes to determine which religious concepts, beliefs and practices foster generosity. She also asks whether or not the causes of generosity vary across religious traditions, and whether religious traditions encourage generosity toward outsiders, or tend to favor their own. Warner teaches at Arizona State University where she is affiliated with the Center for the Study of Religion and Conflict. Originally published at newsinfo.nd.edu on March 09, 2010.